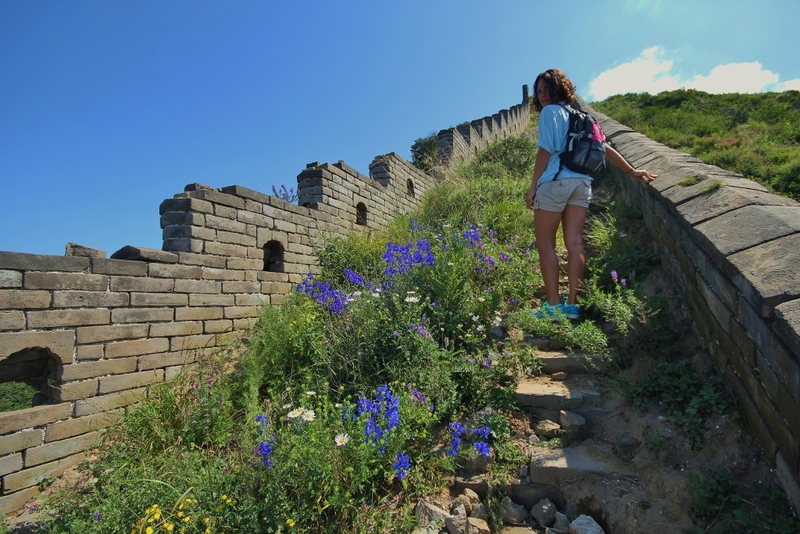 Once we had spent several days visiting the local Beijing tourist sites we worked with our hostel to set up a hike of the Great Wall. They originally kept trying to push a bus tour because “It includes jade and silk shopping! 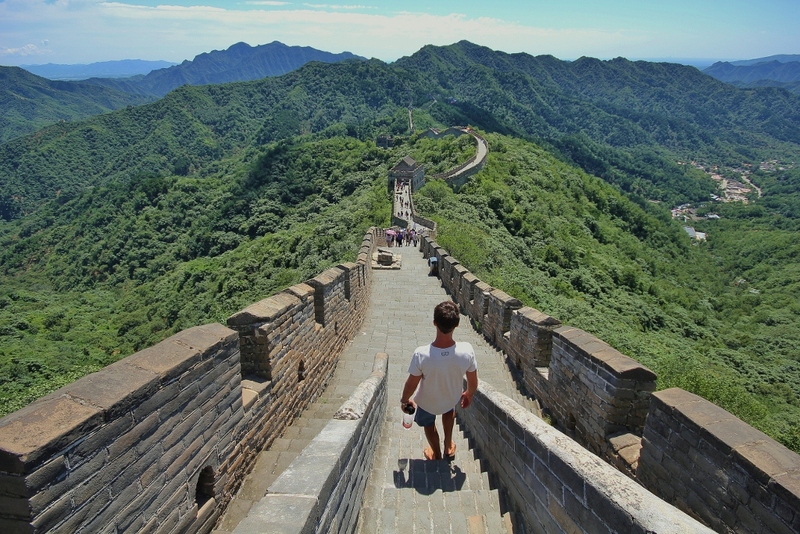 Plus it visits Great Wall section that over 130 million people have visited!” We were eventually able to get the point across that this sounded like a horrible idea and found info on a small group hike. The next morning we were off at 7am and joined our group of 3 others for the day. We were headed to Shixiguan where we would hike 8km to Badaling. 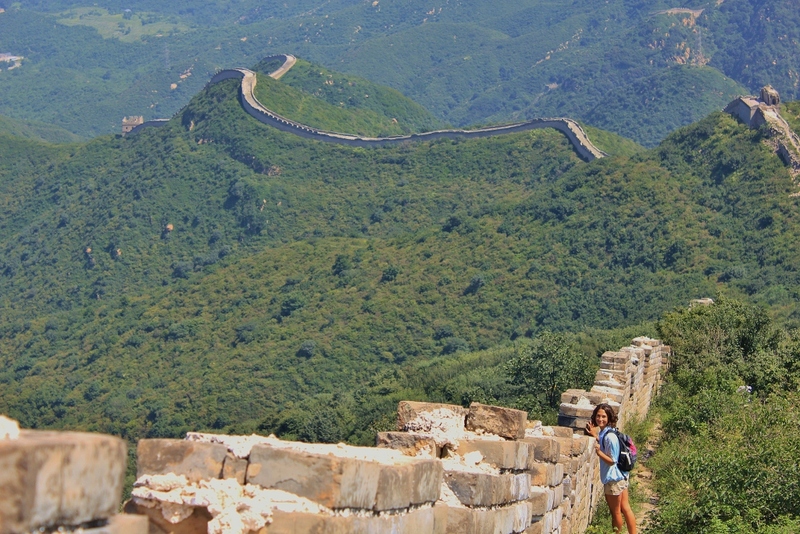 As we walked past a sign that read “No Admittance” I asked our Chinese guide “Jerry” if he did this hike often. “Haha…No I think that would be quite terrible. It’s very steep,” he stated. The section we scrambled across was overgrown with vines, shrubs and wildflowers. It was left in its original condition and large sections were in disrepair. The wall snaked through the surrounding mountains and the views were sublime. To visit one of the most famous attractions in a congested city and be the only ones was a remarkable experience. Several days later we gave the wall a 2nd shot at the Mutianyu section. This time our bus had 11 other people and we spent an hour and a half navigating the city to collect everyone. 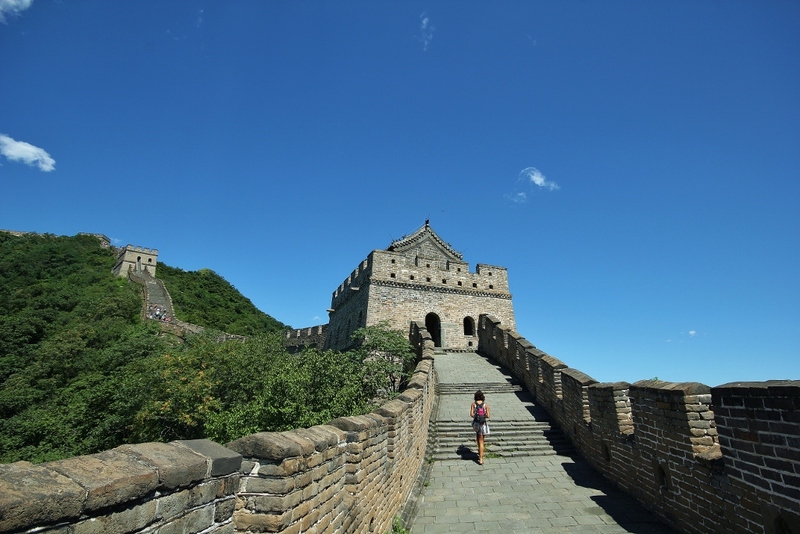 This section was completely refurbished and had several hundred tourists along a fairly condensed portion of the wall. The views were beautiful once again but the hawkers and tour buses certainly detracted from the surroundings. Not wanting to walk the steps down we took a slide from the top which weaved through the mountainside forest. At the bottom we were surrounded by touts each pushing some POS that we neither wanted nor needed. 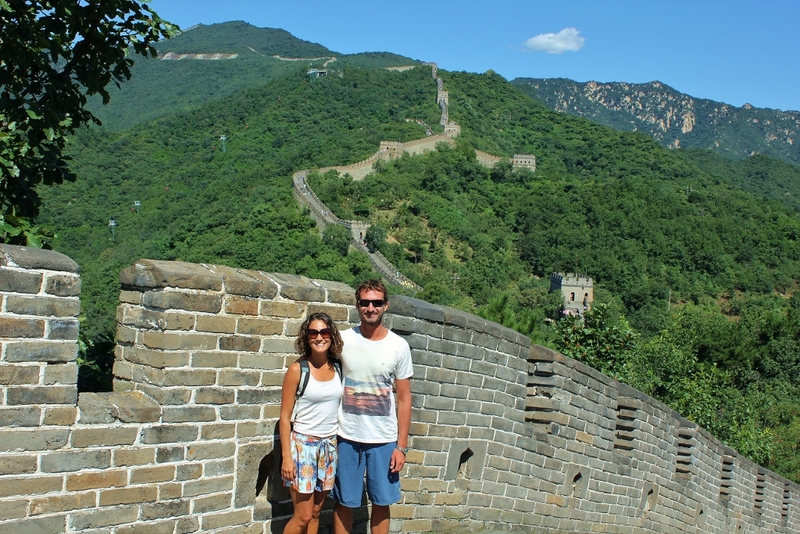 It certainly made us appreciate our original, less commercial Great Wall excursion. Thank you for the amazing photos and description. It looked like a beautiful place.